One of Boo's favorite characters is Pinkalicious. 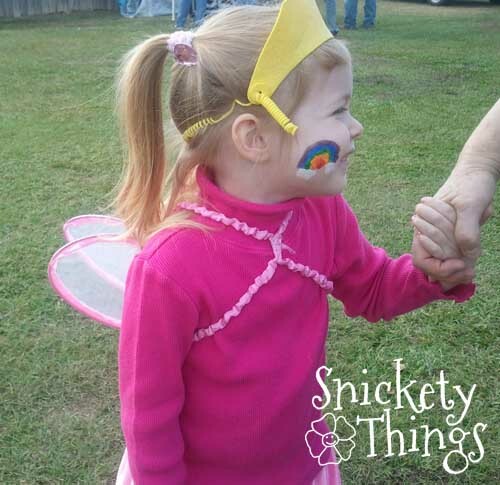 She loves all the books so much that she asked to be Pinkalicious for Halloween last year. Of course I tried to get her to think outside the box on having a costume exactly like the outfit in the book. Luckily she is easy to please so we ended up with our own version of Pinkalicious. This photo may be pinned or featured. The biggest thing about Pinkalicious is that everything she wears is pink. 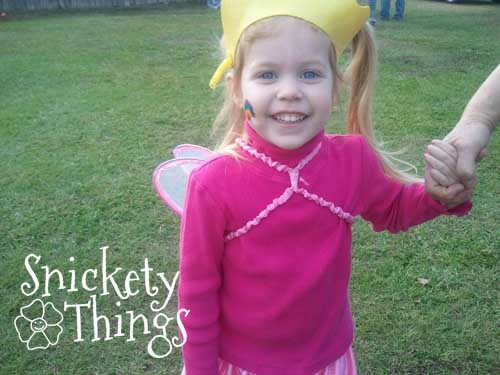 We went all through her closet to find anything we could use for her costume. A pink turtleneck that she thought was perfect. I had a bit of pink fabric left over from a project I made several years ago. I sewed it into a tube and ran elastic through to make a skirt. That's right, it was free. I didn't have to buy anything for it. Not only did that make me happy, but Boo was happy too. She didn't give up her love of rainbows for the day. Nope, she just got one painted onto her cheek. Here are both girls in their costumes. 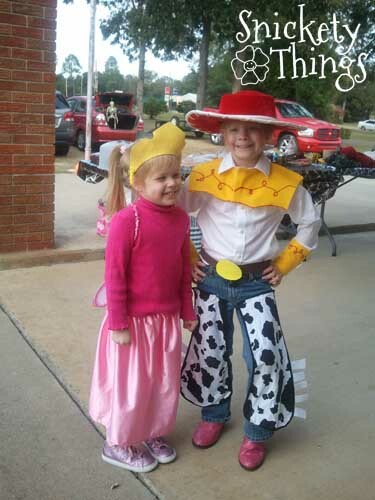 The Princess went as Jessie from Toy Story. I told how I made her costume a few weeks ago. Thank you! I'm glad that I was able to help. 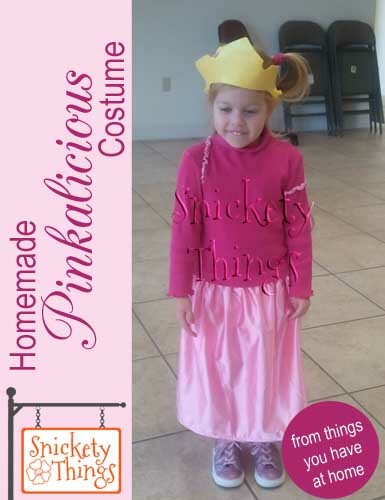 Be sure to let me know what your daughter's Pinkalicious costume looks like. Wow! I love the fact that you made a FREE HALLOWEEN Costume! Nowadays that seems to be undeard of! What a great challenge and your daughter is the cutest PINKALICIOUS!! Thanks! I am always up for free when it comes to costumes. Well done! Can't beat free! 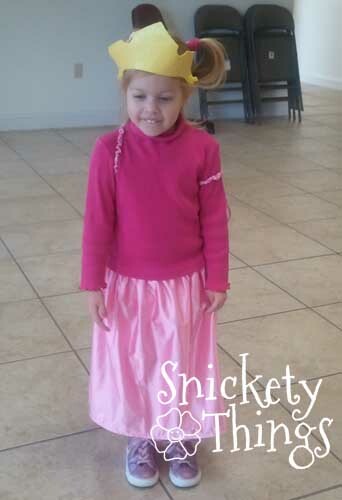 I have a little Pinkalicious fan, so this will come in handy...thanks for sharing it! The younger they are it seem it is easier to talk them into something homemade and free. Thanks for stopping by! My niece loves Pinkalicious! How sweet, great job!